How far can you see? 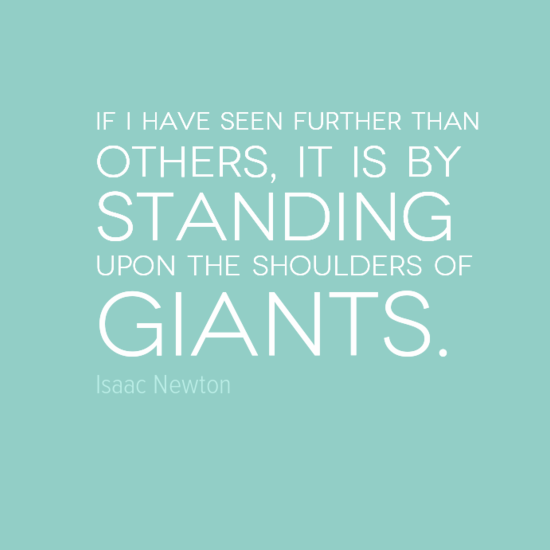 Famous scientist Isaac Newton suggests that he was so successful because he learnt from other greats. Isaac Newton was an English physicist and mathematician widely regarded as one of the most influential scientists of all time. Born prematurely on Christmas day 1642, he was born 3 months after the death of his father, a prosperous farmer also named Isaac Newton. His mother tried to turn the young Isaac Newton into a farmer but was persuaded by a teacher to allow him to finish his education. He returned to school, excelled and was admitted to Trinity College, Cambridge – initially paying his way as a valet. He completed his BA degree in 1665, but was an undistinguished student. However, he continued to study at home and over the next 2 years developed his theories until in 1667, having impressed the Lucasian professor he was elected a fellow of his former college. In 1687, his book Philosophiæ Naturalis Principia Mathematica (“Mathematical Principles of Natural Philosophy”) was first published. Newton’s Principia formulated the laws of motion (Newton often told the story that he was inspired to formulate his theory of gravitation by watching the fall of an apple from a tree) and universal gravitation. It also demonstrated that the motion of objects on Earth and of celestial bodies could be described by the same principles. Newton had laid the foundations for classical mechanics and went on to make seminal contributions to optics and also shares credit with Gottfried Leibniz for the invention of infinitesimal calculus. This quote is a metaphor referring to one who discovers something by building on previous discoveries. 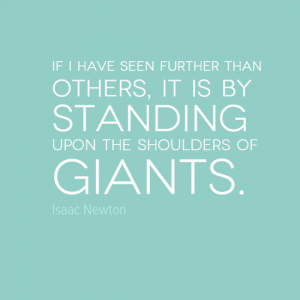 For example, Newton discovered something only because he built on the discoveries of others.